When you first entered the world of forex trading, you were probably encouraged to practice trading on a demo account before investing your actual money. Trading in demo mode allowed you to hone your trading skills, develop a strategy and trading plan, manage risk effectively and to understand the psychology of trading (at least we hope it did!) without risking your hard earned money. After having demonstrated consistent profitability and increased your overall confidence, you thought it was time to open a real account. If you won money on a demo account, the probability of winning with a real account should be high, right? Eliminating emotions is humanly impossible, the vulnerability linked to emotions increases risk when a trader invests his money. Compare your state of mind when you trade on a demo account versus when you're using a live account with your own money. When you placed your first live trade, was your heart beating faster? Did you feel nervous? Excitement? 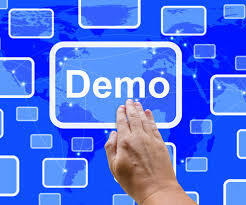 Even if you tried to look at your demo account like you would with a real account, the truth is that there is no financial risk associated with the demo account. You can easily take losses without suffering mentally; consciously or unconsciously, you know that you can fund your demo account at any time with virtual money. Undoubtedly, trading with real money can affect your confidence and this can tarnish your investment decisions. The temptation to have bad trading habits is much stronger with a real account, because a trader will be emotionally invested in the outcome due to the financial risk involved. The most common sins are: the moving of stop orders, the premature exiting out of winning trades and the taking of un-calculated risks with high leverage to make up for a loss. Sometimes, traders will ignore their trading plan in order to prove that their live account can be profitable as their demo account. How should you deal with these differences? To bridge the gap that separates demo from real trading, investors need to keep the same mindset with both accounts. This mental capacity differentiates professional traders from beginners. A good way to reproduce the trading in demo mode in a real account is to focus on the actual trading process and not on profits. The trader needs to concentrate on each trade, follow his trading plan and use appropriate risk management. A trader who invests money he can afford to lose eliminates additional pressure related to the consequences of the results. Another method is to keep a trading diary. The diary can empower a trader to compare the differences between live and demo trading and to seek solutions to specific problems.